OK - yeah I admit it - I stink at names for layouts. I can talk up a storm. I can tell a wild story. I can make up bunk about darn near anything. 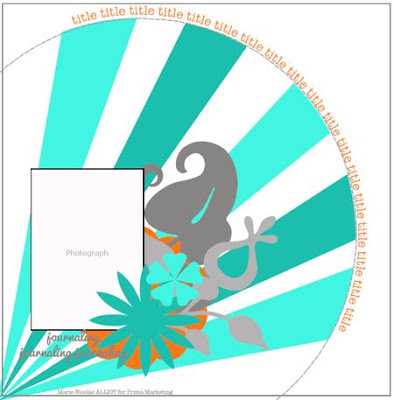 Why oh why can't I think of catchy names for my work? If she had been wearing a purple dress, this would be "Girl with purple Dress". You get the idea. Any way, the sweet girl wearing the hat is the daughter of a friend. She was a great model for me. 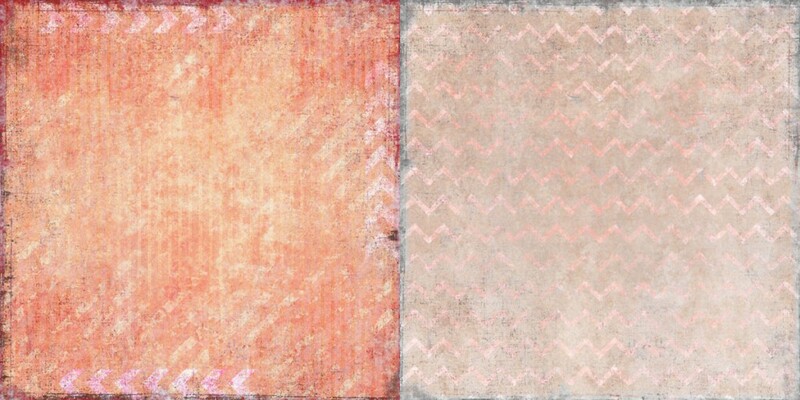 This was the color palate for the PPP challenge. Thanks for looking just the same. 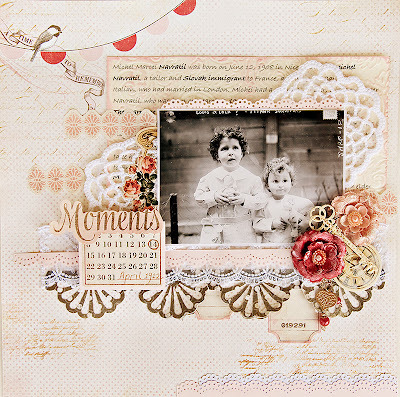 This was created for the Donna Salazar monthly challenge designed by Mistra Hoolahan. 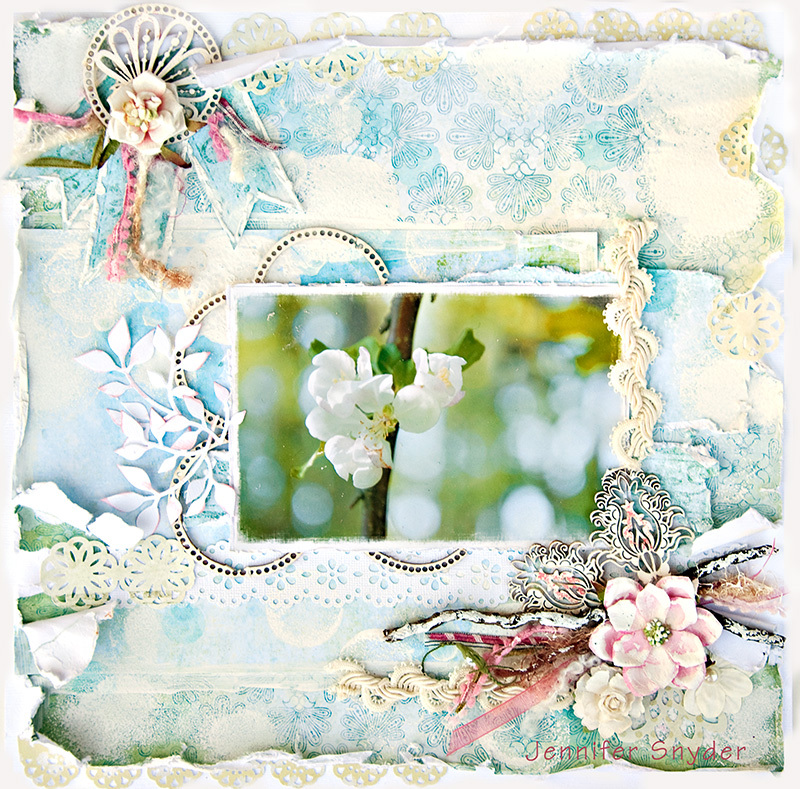 I used the June Scraps Of Elegance kit to create this. 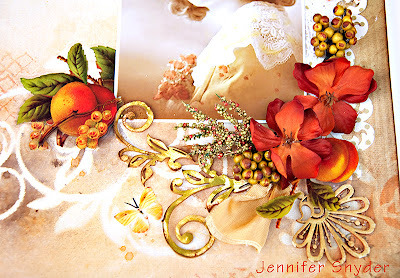 The kit featured the wonderful Botanique Collection by GCD Studios - Donna Salazar. The photo was taken in the Everglades, Florida back in June, 2012. My husband and I were supposed to be on a boat tour that would take us out to a little island to do some shelling. No one else showed up so we ended up on a private tour - all alone on this beach. Really peaceful and beautiful. 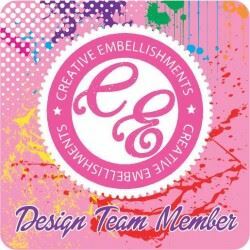 Please consider joining us at Scraps of Elegance. Prima PPP June 2012 Winner! Anyone who knows me know I am running around my office this morning screamming with excitement. 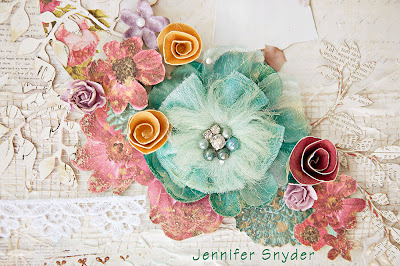 I won the Prima June PPP challenge. Thanks oh sweet folks at Prima. This is a wedding layout I created using a Retired Scraps Of Darkness Kit. 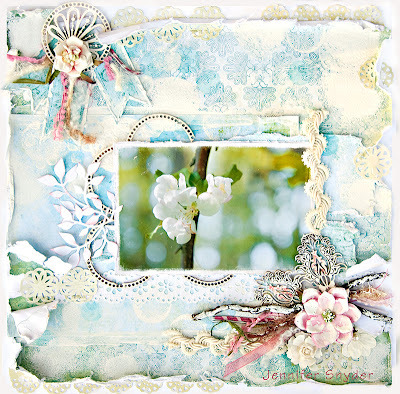 Below is the inspirational piece that Prima has supplied for the month of June. 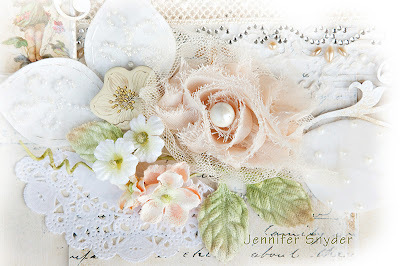 Gorgeous soft creamy colors that speak of wedded bliss. 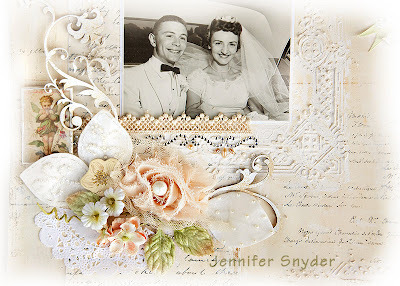 So I used a photo from a couple I know still have that "wedded bliss spark" after 52 years, my parents. Gosh my mom was all of 18 and my dad was 20 and in the Navy. I used some Dusty Attic here as well and cut it apart to serve my needs. 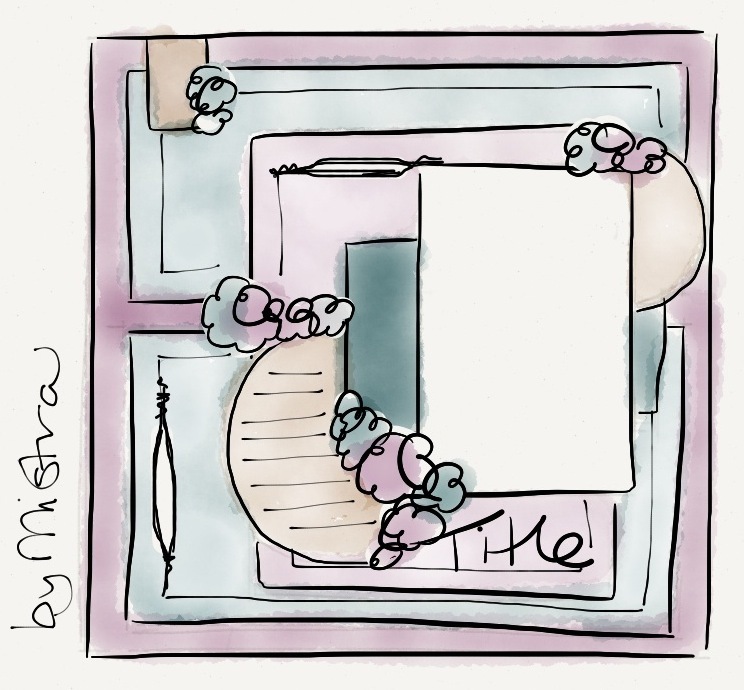 The Dusty Attic Corner Flourish #2 DA0629. I simply painted it with Adirondack Paint in Snowcap, then dabs of Sandal. Thanks so very much for looking. 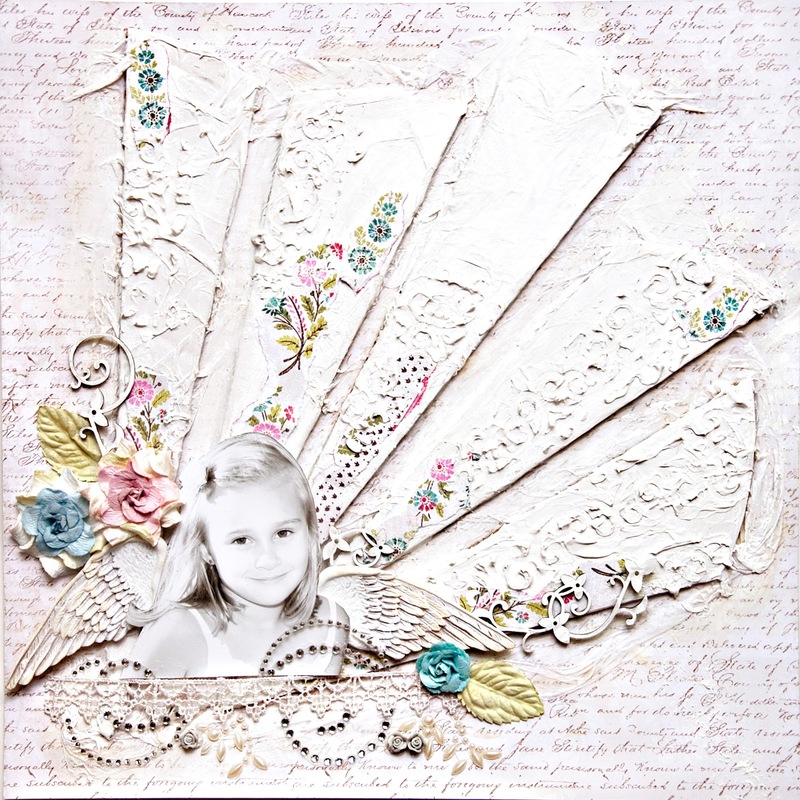 This was created using the Prima Madeline Collection. I've been saving this collection for almost a year. Shame on me! What was I thinking? 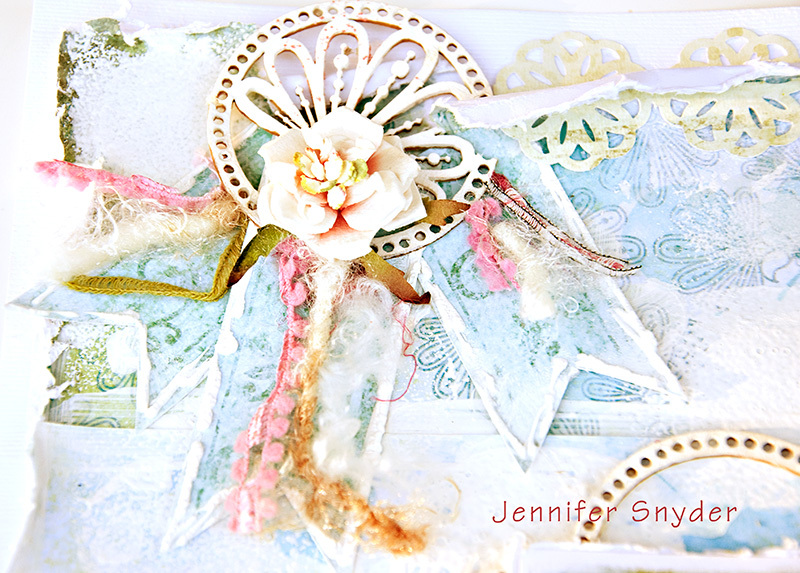 Beautiful paper is not good just sitting - it needs to be cut up. This was a photo I took of a friends darling daughter. This unique bold design by Marie-Nicolas Alliot was really a challenge for me in a fun way. How did I make my background? Starting with the rays, I cut a circle of cardboard first, then sliced them up into pie wedges. 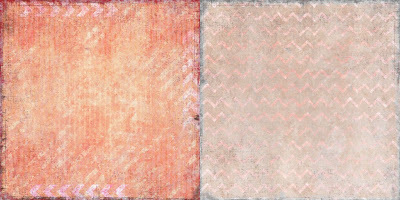 After placing them on my paper, I took one large sheet of white tissue paper and laid it on top covering the cardboard slices, coating with Matt finish Mod-Podge. In the photo below, you can see the tissue paper on the edges. I just gave them a nice coating of Mod-Podge and let them dry overnight. None-the-less, I'm a scissors, glue and paperdoll sort of person even after all these years. Say "hello" to your inner child. OK then, refocusing on the layout....When dry, I gave the tissue paper coated layout a top coat of gesso just to brighten and smooth out any uneven tones. I ripped little pieces of paper from the Madeline Parfait sheet and glued randomly. 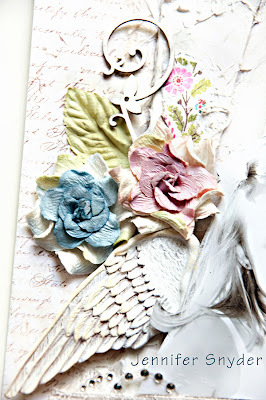 I took a Prima Mask and used some molding paste to get some feminine dimension back into my layout. I wanted to soften up my stark harsh rays. I used a Dusty Attic Sweet Pea Border DA0593 and simply painted it with Adirondack Paint in Snowcap. I wanted to bring in more subtle femininity. 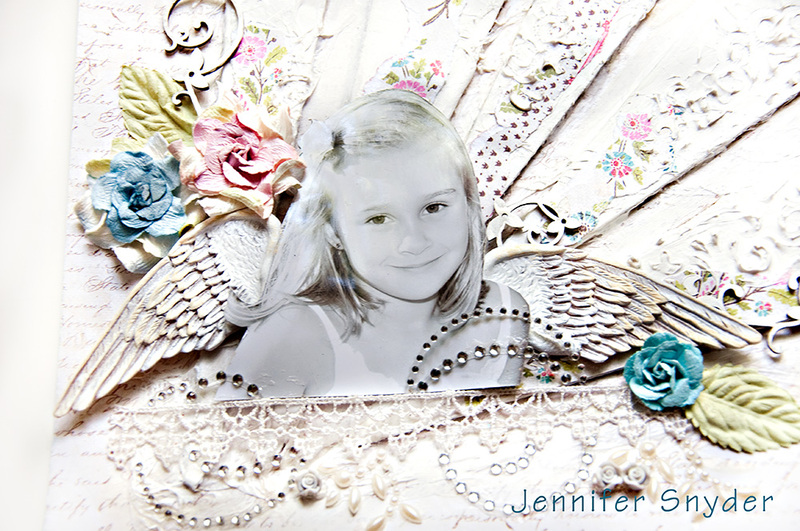 Topped with Prima resin wings and flowers to complete my project. 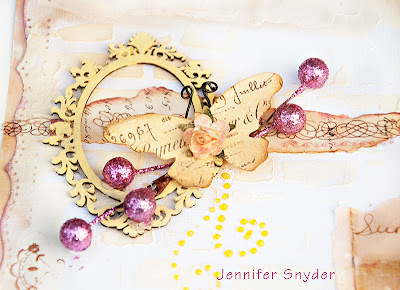 Thanks for looking and taking some time to listen to little Jen-Jen blabber on. 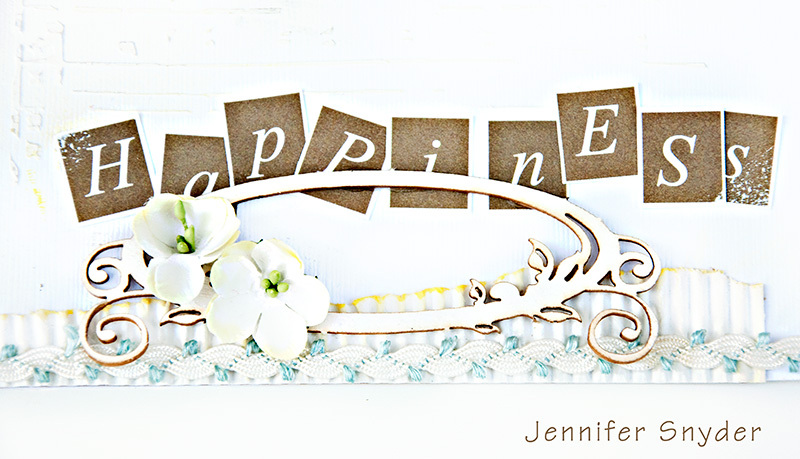 I do believe little Jen-Jen had a chit chat problem in grade school which has carried over to big Jen's blog and journaling. 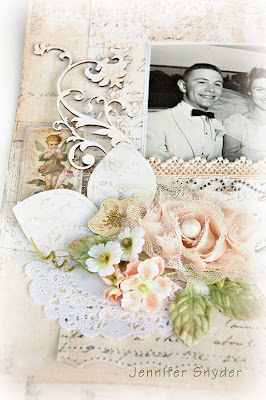 Scraps of Elegance is having a blog hop to kick off September. Please join us for some cool reveals, announcements, surprises and PRIZES! 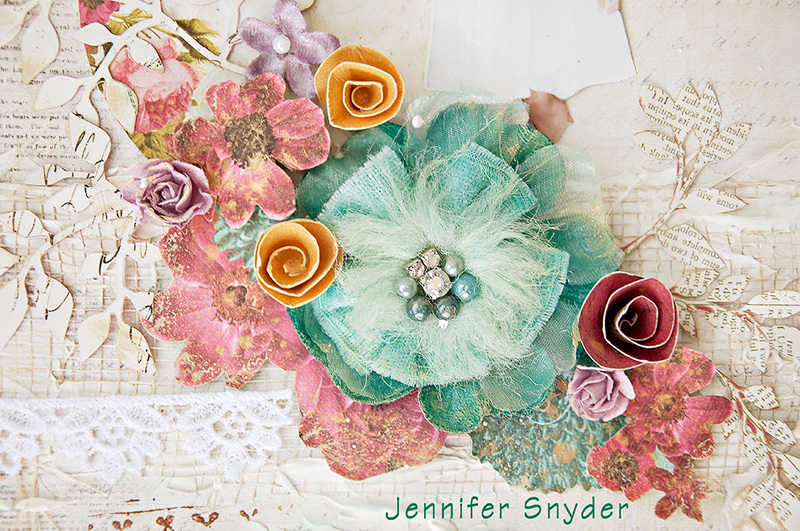 The wonderful folks at Studio 75 have invited me to be a Guest Designer for their sunny, wonderful summer collection, Summer & Latte. It all started as my dear friend and talented artist, Bellaidea, Agnieszka,recently sent me some great papers to play with by Studio 75. This is a a fresh company out of Poland. 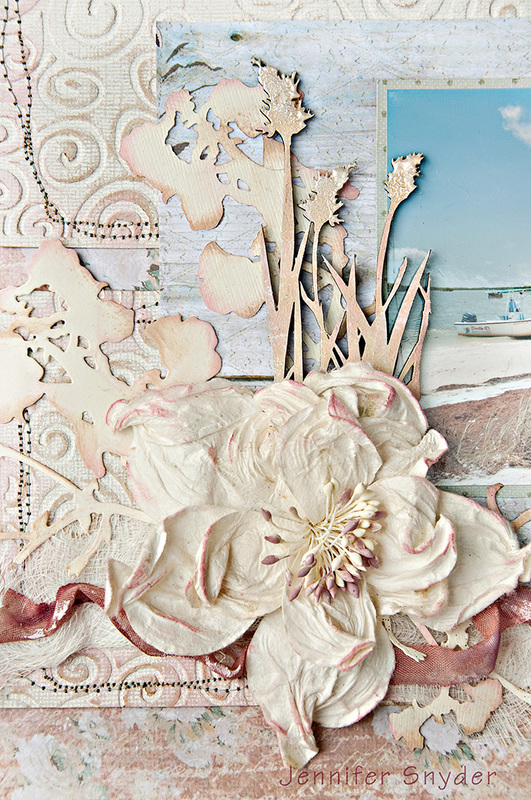 Below is an image of the Studio 75's New Summer Collection - Summer & Latte. This image was taken from Moonlight Magical Free website. 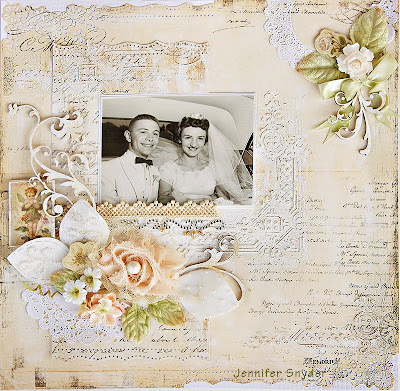 It has some great vintage images to play around with. I wanted to show that while the collection is certainly light, fresh and sunny, it can easily be used for some vintage work. 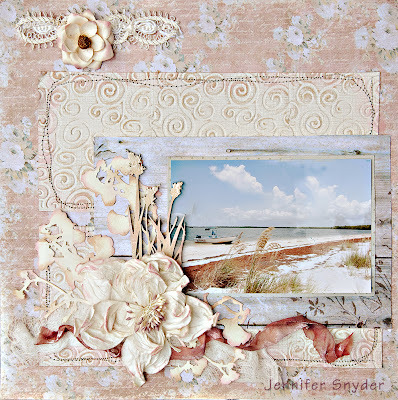 On this image, I used the Summer & Latte 03 and 02 along with some inks, stamps and flowers from my stash to accentuate the photo. 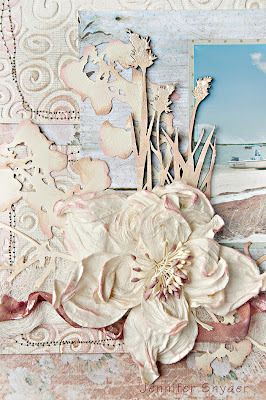 In addition, I used a Prima mask under the photo that complimented the delicate flourish pattern on the sides of the background pattern paper from the Summer & Latte collection. 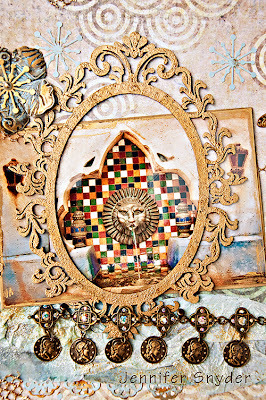 The chipboard is beautiful straight from the package, but I love to cut up my chipboard and arrange them to accommodate my needs. 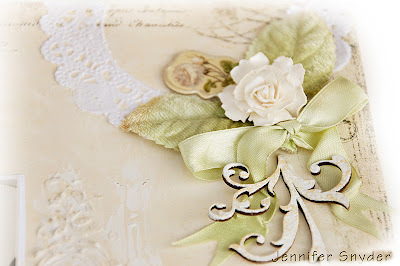 Below, I used the coordinating chippies and painted them white, then highlighted with a little Ingvild Bolme, Olive ink. Thanks so much Studio 75 for trusting me with your collection. Please check them out and take a look at the rest of the inspirational art on the Studio 75 blog to see what others have created with the Summer & Latte Collection. 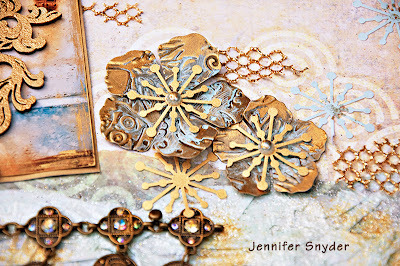 Featured at the Scrap Cake! 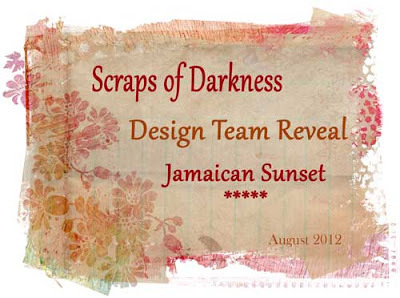 The Scrap Cake is so kind to spotlight the Scraps of Darkness Team designs from the Jamaican Sunset kit which features the wonderful Summer City Collection. 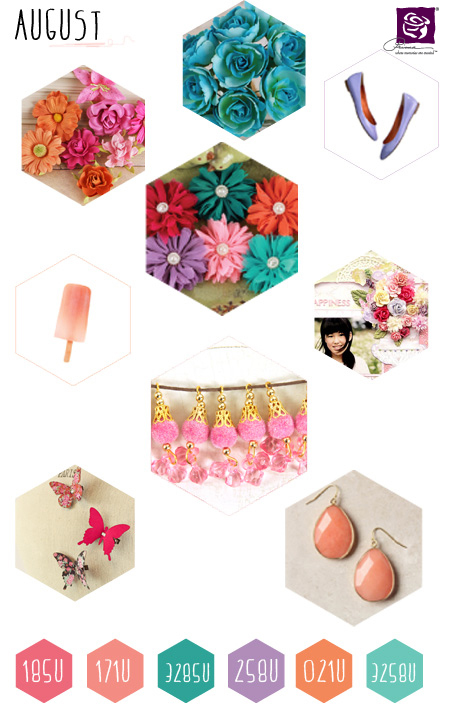 This collection feels like a warm lazy summer day, the colors are relaxing and carefree. 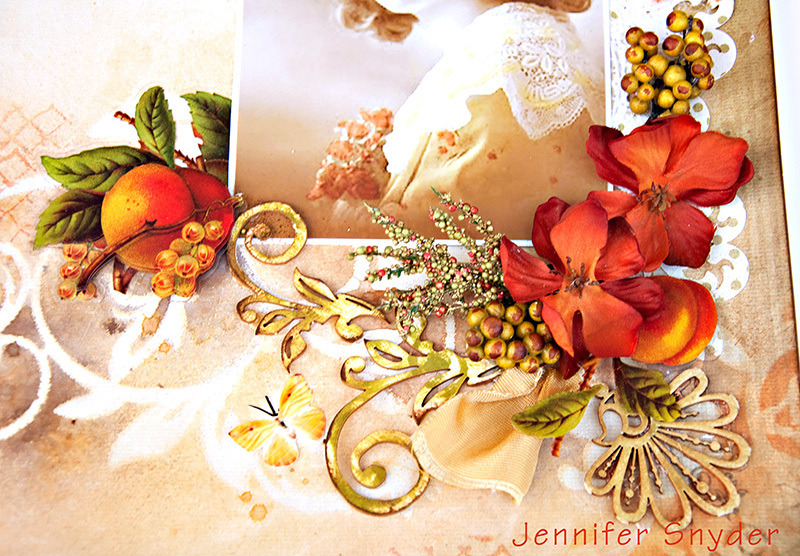 This is the paper I used, Summer City - Apricot Dream. The kit is called Jamaican Sunset, but I only had a Costa Rican photo to use. This photo was taken by a talented 17yr old on his class trip to Costa Rico in Spring 2012. I happened to get the gorgeous photo from him to scrap. 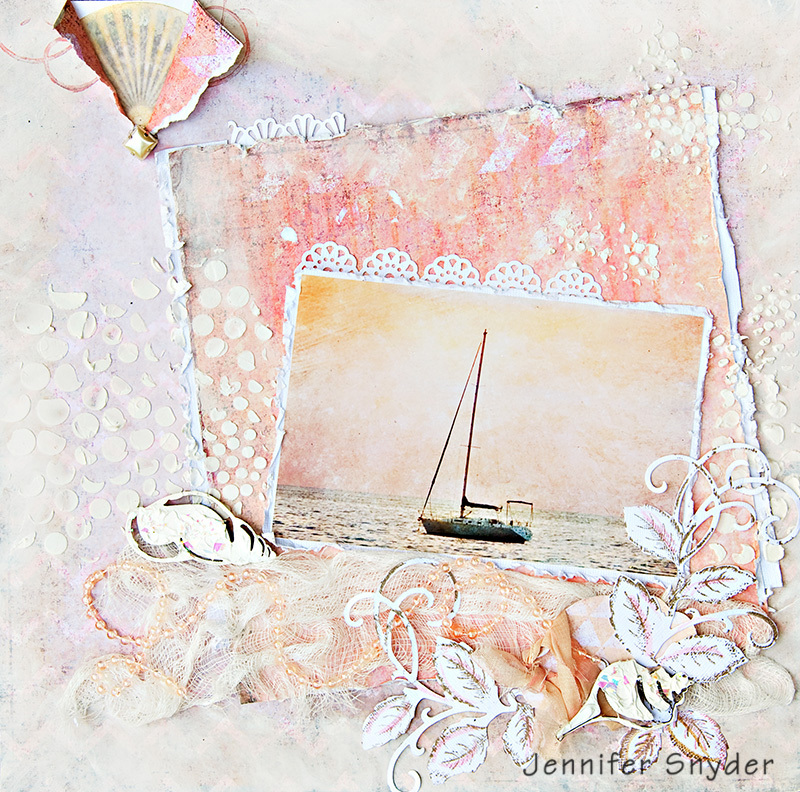 It goes so well with the Scrap Cake Summer City papers. I used the Dusty Attic Shells 6pack DA0048 here as accent pieces. I covered them in thick molding paste. 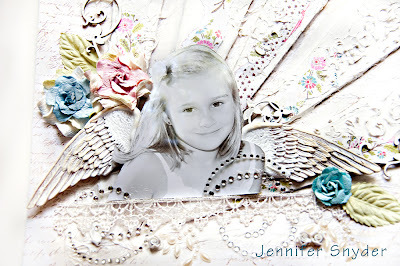 I also used the Bella Rose Stamp from heartfelt Creations and the matching die from Spellbinders. 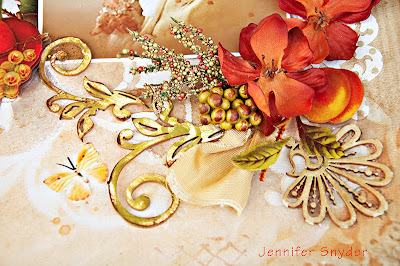 I inked with Donna Salazar's Mixed Media Inx in Honey, and Chiffon. 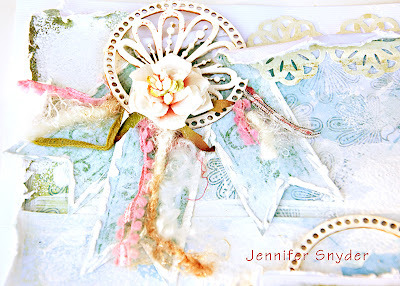 I used the Tim Holtz Distress markers in Spun Sugar to accent the stamp. 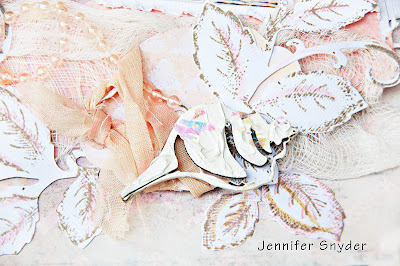 Thanks to The Scrap Cake for featuring us and thanks to you for spending the time looking and reading. I appreciate this a great deal. Please check out Scraps of Darkness and the art created by the rest of the wildly talented design team. 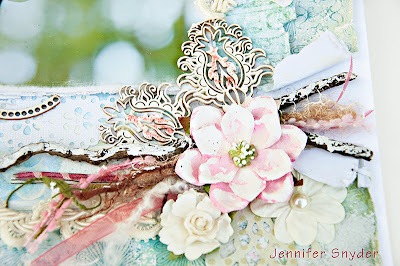 I am the Guest Designer at Once Upon A Sketch for August. I am completely honored. Thanks Nadia Cannizzo and TEAM OUAS for voting for me and encouraging my art. Here is my take on the sketch for the month of August. The theme for the month is "seasons" so I journaled a simple little line, "Summer is a time for picking flowers and running bare foot." 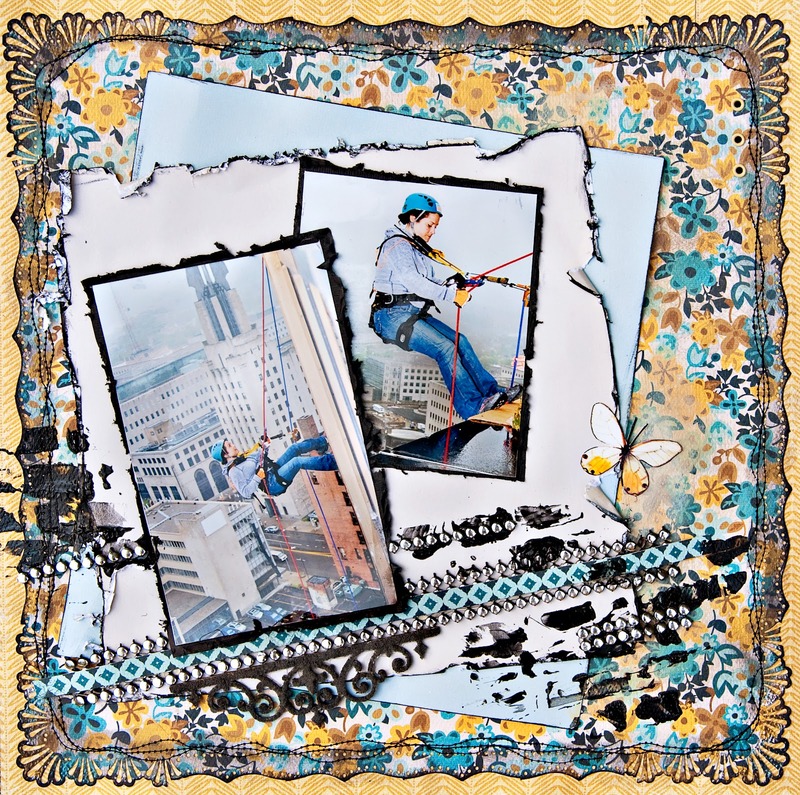 I used elements from Scraps Of Darkness and Scraps of Elegance kits to complete the challenge. 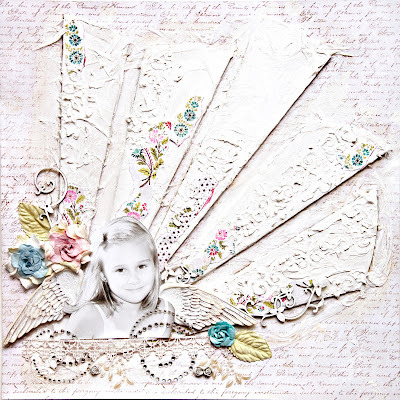 One of the remarkable elements is the handmade butterfly from Renea Harrison that is included in the Scraps of Elegance Kits. It adds such a dainty touch to this layout. I took this photo of my darlin little cousin back in May as she was picking purple flowers from her Nana's garden. Trust that Nana did not mind. Who could? The scene was too darn cute. I used the Dusty Attic ATC Frame #1 DA0673 and painted it in Adirondack Paint Sandal color. Please visit Once Upon A Sketch and consider joining the fun. Also come and visit Scraps Of Darkness. Welcome to the August reveal for Scraps of Darkness. 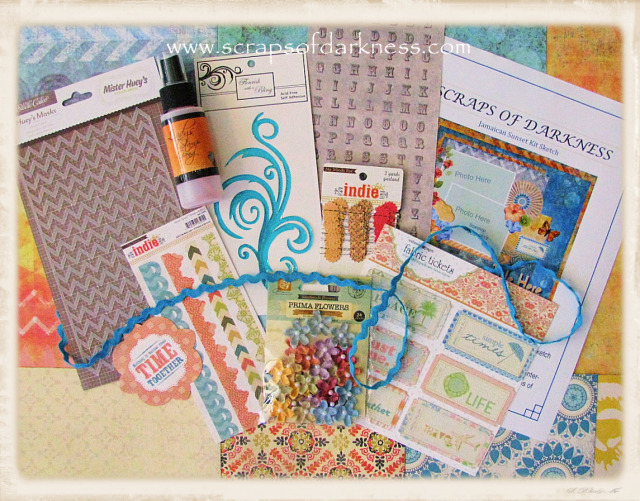 The great thing about the Scraps of Darkness kit is that it is packed with versatile products that allow you the freedom to create art to fit your mood. And the mood of this months kit is fun, flirty Summer boldness. Summer seems to be slipping past us rather quickly. This kit will help us capture a little more of summer 2012 to hold onto forever. These are photos of my co-worker repelling down buildings in Downtown Rochester for a charity. Each year the BoyScouts in our town hold a major fund drive with the entertainment being your very own stroll down a 21 story building. It's not for the faint of heart. I did NOT take these photos - just so you know.....because I do have a faint heart. hahaha. The photos are professionally taken by the event coordinator. 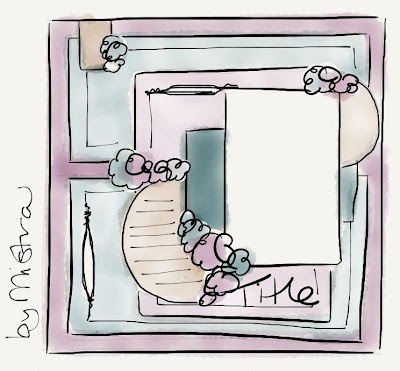 This was also created using the sketch from Charlotte Jenkins, suepup. 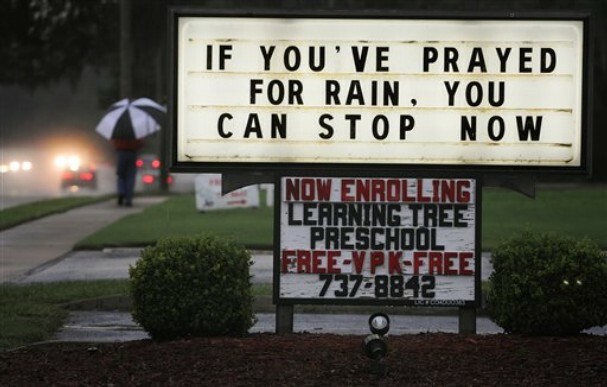 Thanks again, Charlotte for your continued inspiration. 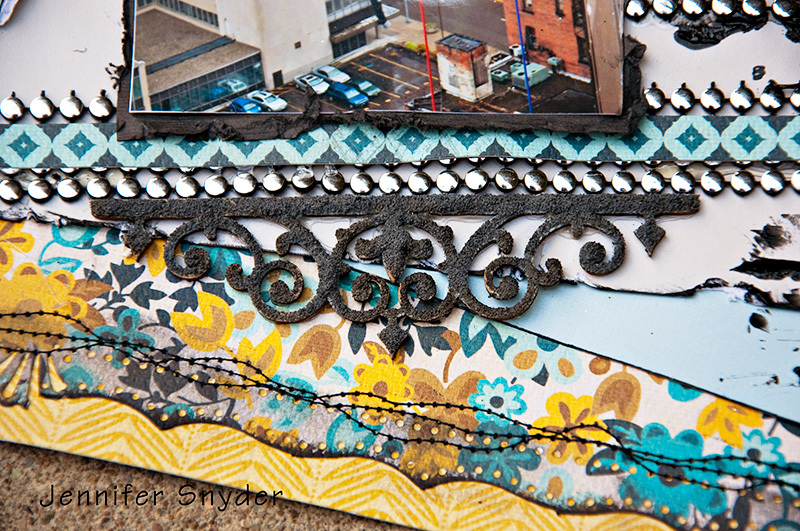 I used some cool embossing paste by Dreamweaver in Glass Black. 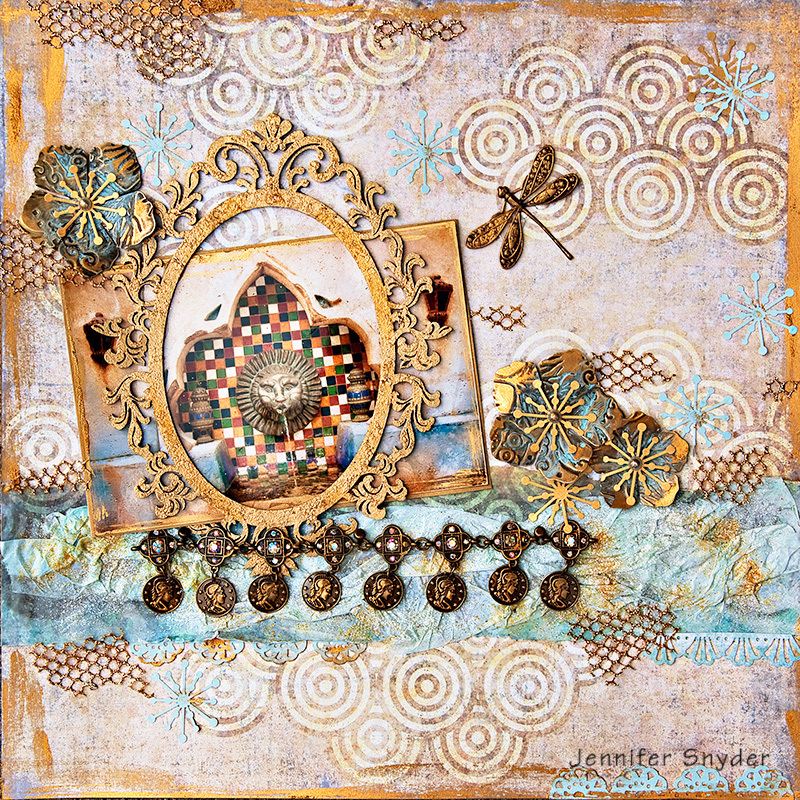 I used it with a Prima brick stencil. I also used the Dusty Attic Wrought Iron Trim DA0547 and covered it with Ranger Black Puffs Embossing Powder from the August Scraps Of Darkness Color Add-On kit. I find the Color Add-On kits that Melinda assembles is an excellent way to try new items and expand your product base with interesting new items that I perhaps would not even think about trying otherwise. Mel makes it easy. She does the research and the coordination and I get to play. This photo is one I took at Universal Studios in Florida, June 2012 in the world marketplace. We took my son and his friends for their 16th birthdays. (I saved for 18 months to pay for the trip- just so you don't think I'm "Jen moneybags".....hahaha). The trip was supposed to be perfect. With saving that long, I had every detail in my mind covered. This is gonna be a SPECIAL trip. It's Florida and it's gonna be sunny and warm and beautiful. The ONLY detail of this trip I could not control in fact went wildly out of control. The weather. BAM! We land in Florida and the sun shines so perfectly to welcome us to what's called "The Sunshine State". 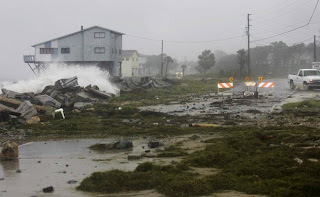 Which is then followed by Tropical Storm Debby where it rained crazy amounts of rain for a solid 4 days. Yet we managed to have a wonderful time. Due to the rain and rather horrible weather forecast, attendance was significantly down at the Universal Theme Park. Instead of several thousand coming through the gate daily, we barely hit 1000. The park and all rides were open so we owned the park with no lines. 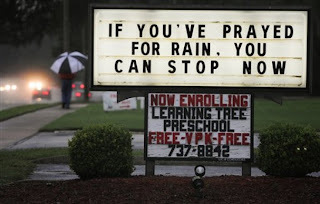 And we were grateful for NO people because we all wore white plastic rain ponchos every day and looked rather silly - wet and silly. Not really a picture perfect vacation BUT memorable. 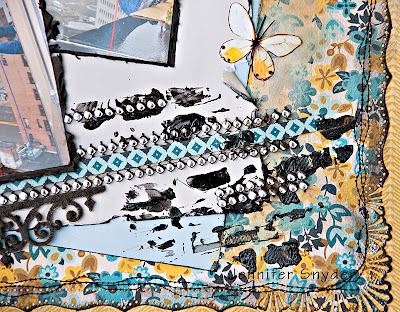 These flowers are metal pieces by Graphic 45. The Staples collection by the way. I ran them through my Tim Holtz Vagabond using the Sizzix - DecoEmboss Die - Vintaj - Embossing Folders - Moonlit Night. I got this in a previous Scraps Of Darkness Add-on kit featuring the Vintaj Embossing folders. 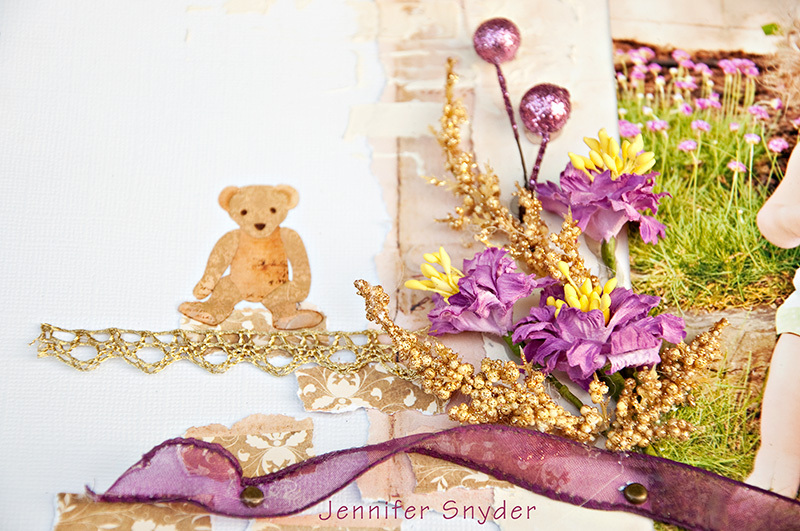 After embossing the metal flowers, I sanded the edges to bring out more gold tones, rubbed some Adirondack acrylic paint in Pool color to match my photo and then used some Rub 'N Buff around the edges of the flower to gild them in gold a little more. Topped them with the McGill Starburst punch -just perfect for flower centers. I used the Dusty Attic Vintage Frame DA0254 and painted it with gold Adirondack acrylic paint. I get an uneven quality with the Adirondack gold paint when I dab it on the chippy instead of wiping it on or painting it on. It sort of bubbles when I apply it with a hard dab. Then it dries a little bubbly. I also wanted to mimic the blue in the photo so I took some blue tissue paper and covered it with matte finish ModPodge, topped with some gold and white glitter. I love ModPodge - really fun stuff. Reminds me of all the scouting projects I made when I was a kid. As Tropical Storm Debby hovers in Gulf, Florida gets more rain. Well you get the picture. It rained every day of our trip - buckets of rain. Thanks for spending the time looking and reading. I appreciate this a great deal. 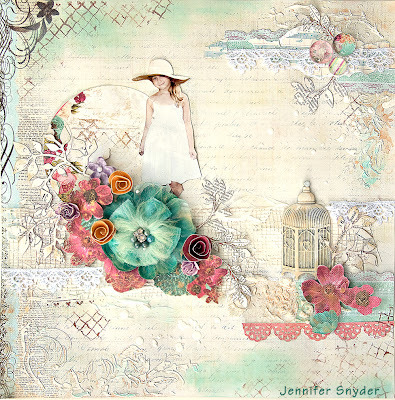 I am so very honored that this layout was featured for the July Sketch Challenge at Once Upon A Sketch. Out of the 10 layouts selected, mine is the only one from the United States. Pretty cool that talent from all around the globe competed. You can find the original blog entry here with a fascinating description of the photo. Thanks Nadia Cannizzo and TEAM OUAS . I appreciate the fun and interesting challenges each month. Please visit Once Upon A Sketch and consider joining the fun. My dear friend and talented artist, Bellaidea, Agnieszka,recently sent me some great papers to play with by Studio 75, a fresh company out of Poland. Below is an image of the Studio 75's New Summer Collection - Summer & Latte. 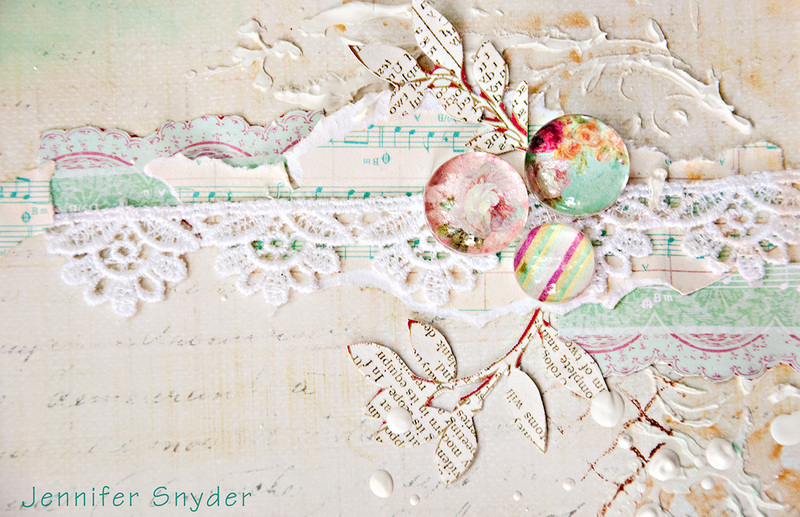 These were created using the wonderfully fresh and summery paper collection, Summer & Latte from Studio 75. 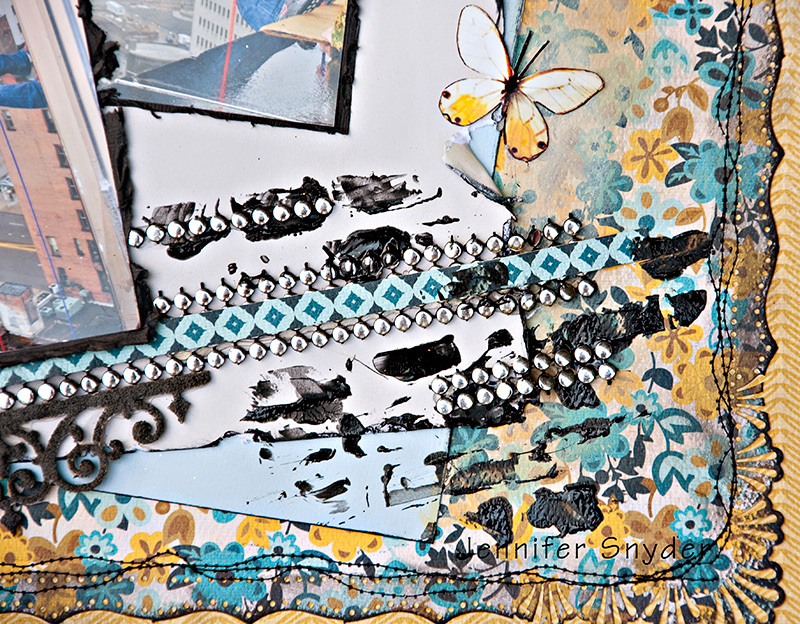 This collection is perfect for all your images of summer vacations, lazy days and beachy fun. 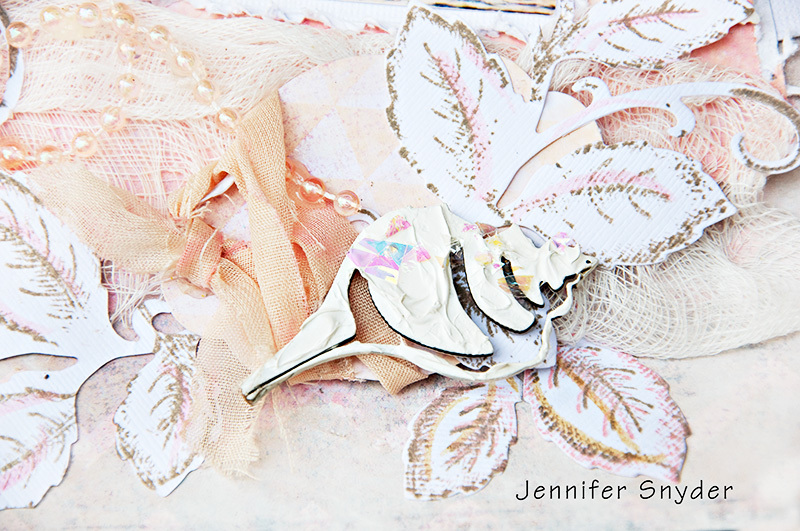 Plus the coordinated chippies are gorgeous and so very delicate in design. This image is a photo I took in the spring of an apple blossom in my neighbors yard. Where else would I take photos? She's got all the good stuff in her yard. This was a 6am find. The blurring in the back ground is not a photoshopped effect. It was created by focusing only on the blossom and using the sunlight. The Summer & Latte papers are such a great match for this image. I was really excited to see what a great combination it made. 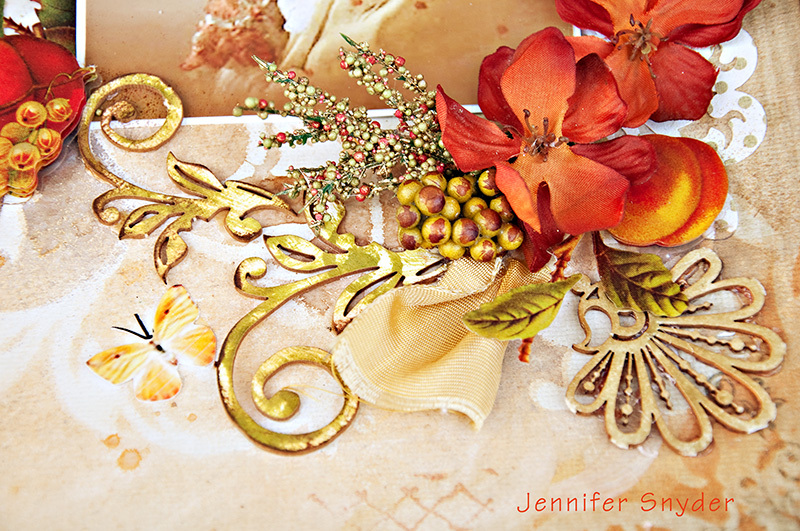 I used the Summer & Latte 07,01,05 and 04 as well as the matching chippies from the collection. I did alter the chippies by cutting them up to suit my needs. This image was taken from Moonlight Magical Free website. 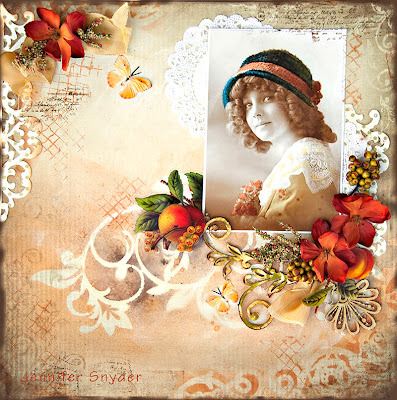 It has some great vintage images to play around with. 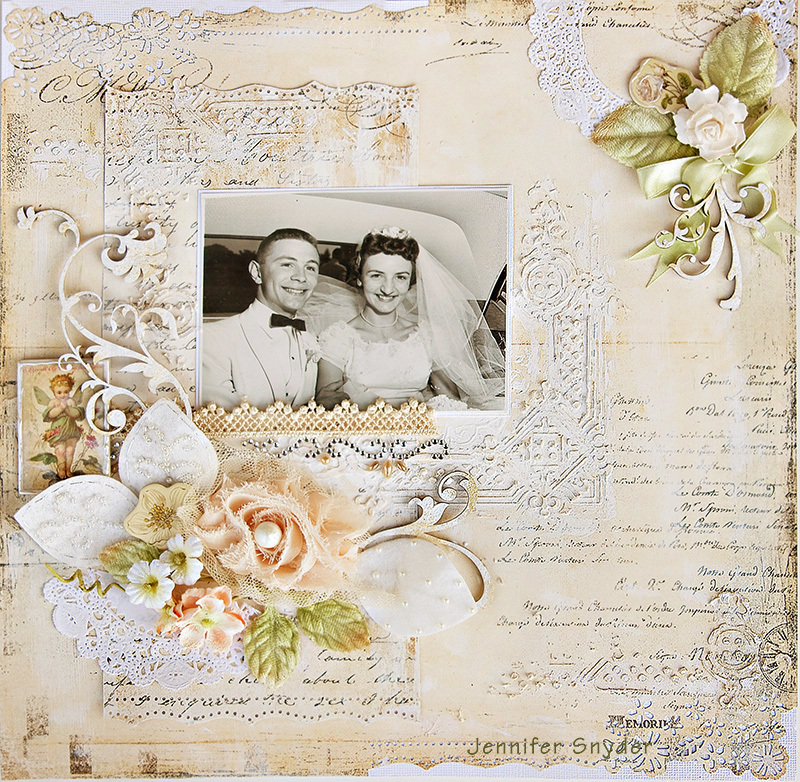 I wanted to show that while the collection is certainly light, fresh and sunny, they can easily be used for some vintage work. 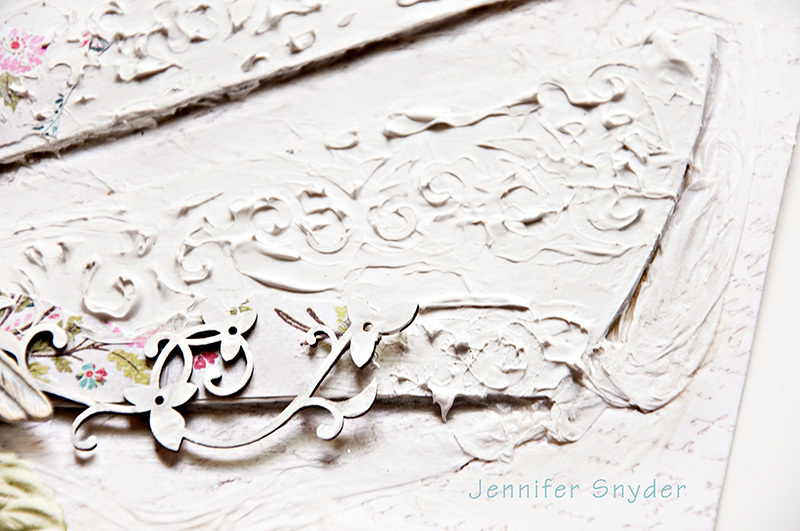 I used the coordinating chippies here and painted them white, then highlighted with a little Ingvild Bolme, Olive ink. This image is a photo I took with my remote control before anyone was out of bed on a Saturday morning a few weeks ago. The sun at 7 am is my favorite. It backlights everything so perfectly including my gray hairs. hahaha. seriously, I just love the morning sun and how it streams. Besides I had just gotten a haircut the night before and it was still straight, manageable and sassy. Usually my hair is a bundle of untamable sass - bad sass. I had to take advantage of the good fortune. 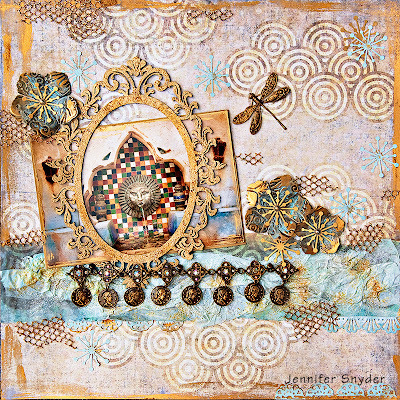 I used the Summer & Latte 02, alphabet and stamps in blue along with some of the Studio 75 coordinating chippies. 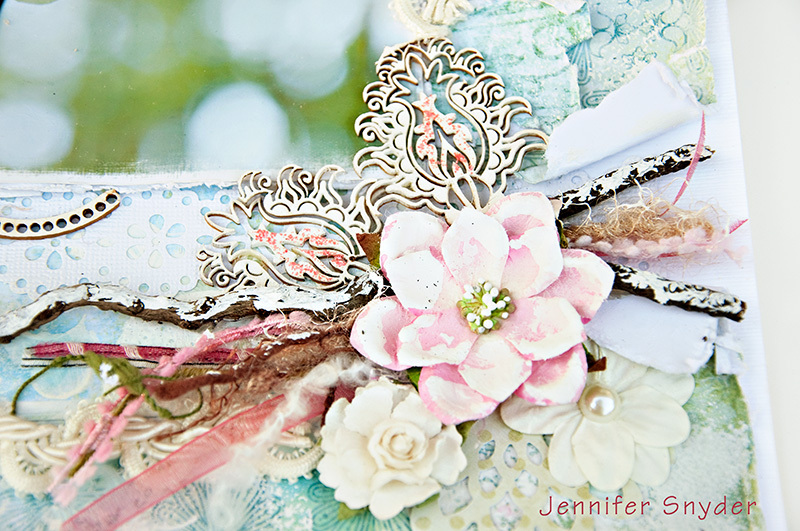 See the whole line of gorgeous papers here. 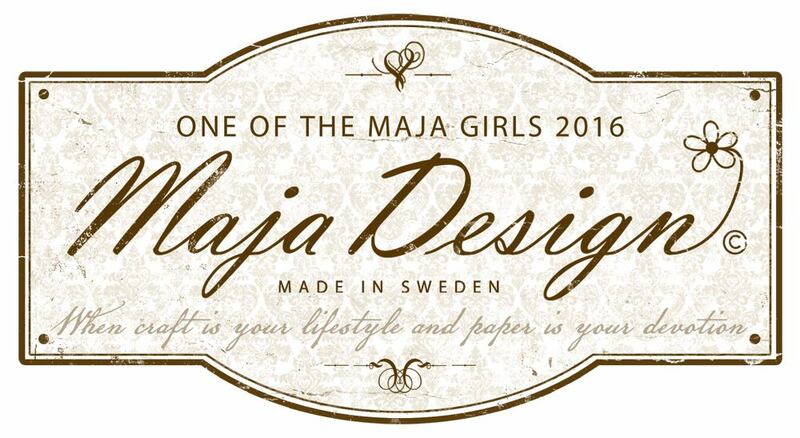 Thanks to the ladies at Studio 75 for creating such a summery, inspiring collection. Thanks for looking and please stop by and support Studio 75 Summer & Latte. Also, please go check out the amazing talent of Bellaidea.